Horse-drawn trolleys, Nihonbashi & Shimbashi, Tokyo, c. 1900. 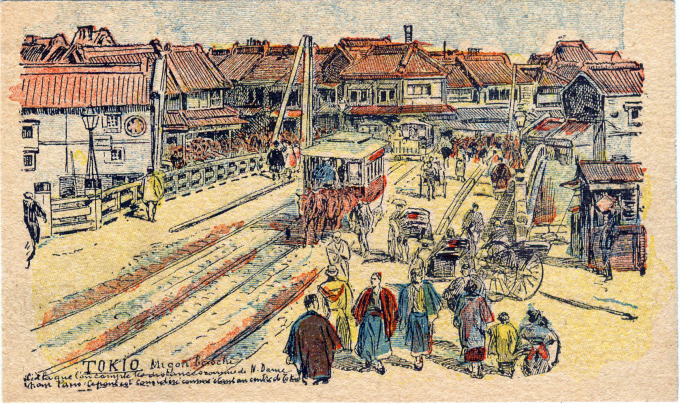 A horse-drawn trolley crosses Nihonbashi Bridge, c. 1900. 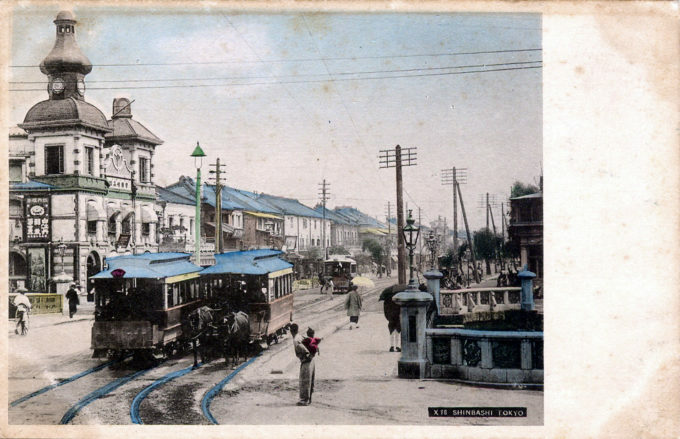 “Horse-drawn omnibuses and trolleys, the idea for which came from the West, formed Tokyo’s first mass transit system and helped to establish the city’s traffic patterns and rules on how passengers and drivers behave. While most rules were promulgated to ensure safety, some regulated fares, and others prescribed proper manners for drivers … According to one rule, drivers were required to immediately stop their vehicles, alight, and salute as nobility and army officers passed. Horse-drawn streetcars and Teikoku Hakuhinkan (left) at Shimbashi, c. 1900.